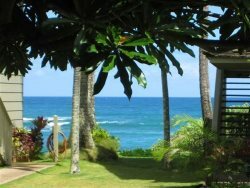 Kauai Oceanfront Condo Rentals | Hula Now Offers Kauai Oceanfront Condo Rentals on the Magical Garden Island of Kauai from the Beauty of the Pristine Beaches to the Scenic Valleys with Waterfalls. Enjoy our oceanfront resorts Kapaa Sands, Islander on the Beach and Kauai Beach Resort. You will know you made it to paradise with Islander on the Beach Unit 353 Oceanfront with unobstructed views. Yes, it met my expectations. It was fantastic. Great working with the team. Quick response and very helpful. Great working with the Hula Now team! Absolutely met our expectations! Great! Yes it met my expectations! Yes, the view was magnificent and the room was very comfortable. Yes, it sure did. Val was the BEST!! !....I surprised my wife with flowers to be delivered for our room and Val did all of it. She deserves a raise! I tried to give her a tip to show my appreciation, but she insisted that there was no need for it - she said that she was just happy to make the whole thing work out. Yes, it had a beautiful view from the lanai and in a great location for us! Yes. We loved our stay while on the island. Awesome. Yes++ . Everything was as advertised. We had a very relaxing and enjoyable stay. This is one of the best vacations we have ever had. We will most likely try to get this unit or similar again in the future. Outstanding. Yes. Condo was accurately described as presented. It exceeded our expectation. Perfect! Excellent. Dawn and the cleaning lady we met were amazing and extremely courteous, friendly, and accommodating. Thank you. Yes mostly. Thank you for your great service. Yes, it was wonderful! We thoroughly enjoyed our stay there and loved the ocean view! Yes, it was as pictured, and worked well for us.